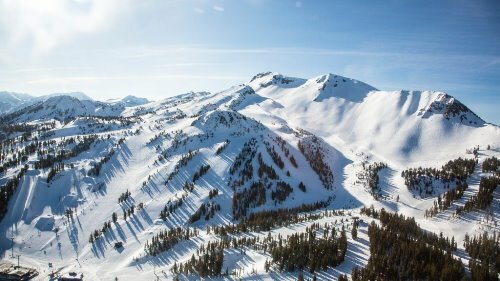 The trip includes 3 nights of lodging, and 3 full days to ski Mammoth Mountain, or the nearby Tamarack cross country ski center. The trip includes round trip bus transportation to and from Mammoth. Snacks and Beverages will be provided. Trip participants will gather for the bus at the Goleta Elks Club on Kellogg Ave on Thursday at 2:30 and leave by 3 PM. We will stop at the Vons/Carrows parking lot at Seaward Ave to pick up any Ventura area members. The bus departs Mammoth Main Lodge on Sunday at 4:00PM for the return trip to Santa Barbara. Relax and enjoy not having to drive home. We should be back in Santa Barbara by 11:00 PM. Based on your feedback we have upgraded our lodging for this year's bus trips. We will be staying at the Sierra Nevada Resort located on Old Mammoth Rd, Mammoth Lakes. We have reserved 3 bedroom Condos which are equipped with full kitchens and fireplace. All rooms are double occupancy unless you wish to pay the premium for a private room. If there are not enough condos available we will add extra double occupancy rooms. Relax and share stories after a day on the slopes at the outdoor hot tub. Shopping, equipment rental/demo, and dining options are all within easy walking distance. Lift tickets are NOT included. For help finding discounted lift tickets, contact the trip captain if you need assistance. A cancellation fee of $40 will be charged regardless of circumstances. You will be liable for any and all additional liquidation cost that the club incurs due to a cancellation after the deadline(s). Base trip costs (lodging, transportation) are paid to the trip provider 50 days prior to departure (12/19/18). No refund will be available unless the trip captain can fill your spot. Participants are encouraged to acquire travel insurance to cover unanticipated situations. Please see the Ski Trip Frequently Asked Questions page for more details.